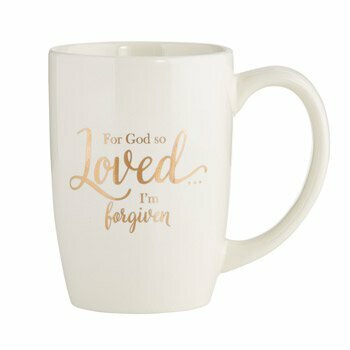 This 16 oz mug makes for a great Easter gift or give-away. 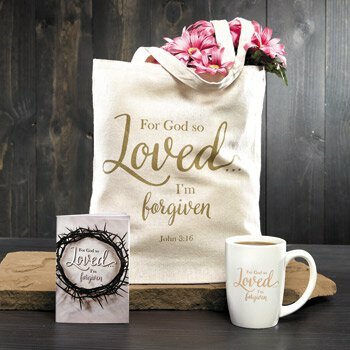 Text reads: For God so Loved... 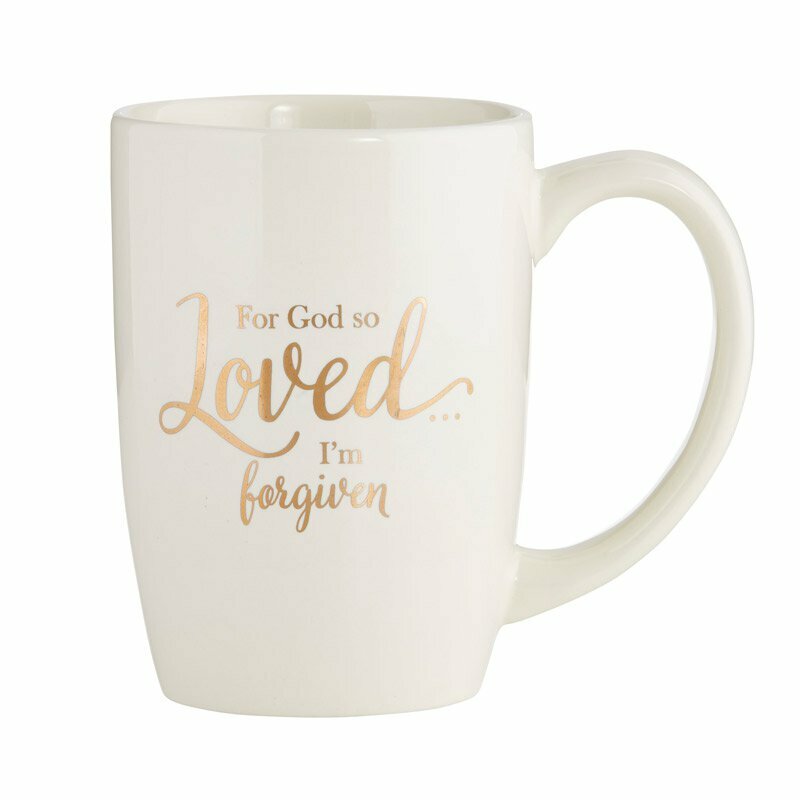 I'm forgiven. Do not microwave. Hand wash for best results, but also top-rack dishwasher safe.